Iowa State University’s Master of Community and Regional Planning graduate program is ranked among the top programs in the United States by Planetizen, the leading online network for the urban planning, design and development community. 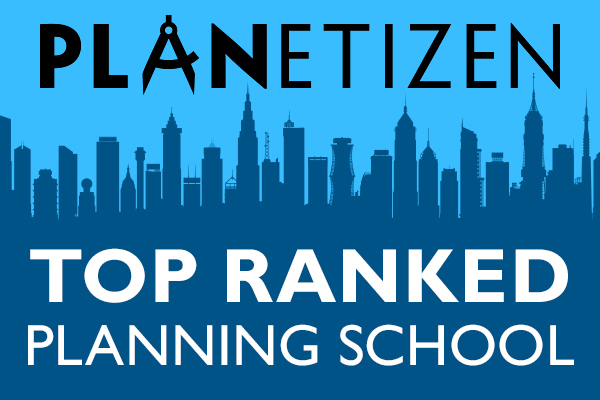 Produced every three years, the “Planetizen Guide to Graduate Urban Planning Programs” provides the only comprehensive rankings of graduate urban planning programs in the nation. For 2015, Iowa State is ranked fourth in the U.S. among programs that do not grant a PhD in planning. There are 73 master’s programs in North American accredited by the Planning Accreditation Board of the American Institute of Certified Planners and the Association of Collegiate Schools of Planning. Iowa State’s MCRP program also is ranked seventh overall among all Midwestern graduate planning programs, including those that offer a PhD degree. And in an additional ranking this year, Iowa State is rated fifth among the “top small programs” based on enrollment.